A roundup of the week’s tech news including the NASDAQ of Bitcoin, Tech Lobbying and Milkshake Drinking. It was Microsoft’s time to shine this week. The Redmond company finally announced Windows 10, which will come as a free upgrade for users of W-7 and 8, an OS that actually looks alright and promises some decent features. Also announced was a new default browser, named Spartan, and a mahoosive Surface tablet for whiteboard-sized collaboration. The big announcement, however, was Project HoloLens, an Augmented Reality headset that promises an immersive experience that combines all the best bits of Google Glass and the Oculus Rift. It looks huge and more of a workplace/home device than a get-abused-in-the-street-Glass kind of kit. There’s a lot of promise if it comes off, Microsoft may have just set the bar on something for the first time in a decade of more. We here at IDG Connect have been keeping track of what all the big tech players are spending on lobbying political types. The latest figures are out for Q4 of last year, and Google once again topped the spending charts, splashing out $16.83 million trying to influence lawmakers. The other big headline was Facebook spending $9.34 million, up by 45% on 2013. We’ll be publishing another nice graphic on the subject soon. - Obama isn’t planning on reducing the NSA’s powers anytime soon. - The NSA hacked North Korea before the DPRK hacked Sony. It also provides a guide on how not to get hacked like Sony. - The NSA hacks botnets to use them for their own nefarious purposes. - Someone within the NSA likes There Will Be Blood. - Huawei has denied it’s helping the Chinese government do any spying. - GCHQ has been tracking iPhone users – Ed Snowden avoids using the Apple device as a result. - GCHQ has also been spying on journalists. - Australia’s attorney-general thinks mass data collection shouldn’t need a warrant. - The EU’s Counter-Terrorism Coordinator says companies should be forced to hand over encryption keys. Last week, UK Prime Minister David Cameron flew to the US and urged President Obama to back him up over banning encryption online. It seems that Obama actually agreed. “If we find evidence of a terrorist plot … and despite having a phone number, despite having a social media address or email address, we can’t penetrate that, that’s a problem,” he said. Plenty of M&A action of late. Twitter has acquired Indian mobile app ZipDial, Apple has bought music analytics service Musicmetric, Dropbox has snapped up CloudOn, Microsoft has purchased eDiscovery startup Equivio, Amazon now owns Annapurna Labs and Intel has got its hands on smart glass startup Composyt Light Labs. Elsewhere, Equinix acquired Nimbo, Pinterest took over Kosei, WeCloud bought Simitu, Intuit snaffled ZeroPaper, and Ford has opened up a Silicon Valley-based research centre to develop self-driving car tech. And in the rumours section, Google is reportedly interested in the app formally known as ISIS, now known as Softcard. BlackBerry CEO John Chen has lost his mind. It’s the only explanation for his call this week for App Neutrality. Or, in layman’s terms; iOS and Android developers should be forced to make BlackBerry apps too. “Unlike BlackBerry, which allows iPhone users to download and use our BBM [BlackBerry Messenger] service, Apple does not allow BlackBerry or Android users to download Apple’s iMessage messaging service,” he said. “Therefore, neutrality must be mandated at the application and content layer if we truly want a free, open and non-discriminatory internet.” Needless to say, he got a few questioning rebuttals online. Apparently MPs aren’t big on the idea of self-driving cars. The Institute of the Motor Industry (IMI) even published a report on it. Not particularly surprising, but IMI CEO Steve Nash has a good ear for a soundbite. “MPs are in danger of falling asleep at the wheel and need to start paying closer attention to the implications of these changes.” Falling asleep at the wheel, geddit? We here at IDG Connect occasionally interview politicians, and we usually ask them about their thoughts on eVoting. The answer is usually negative, but Rick Falkvinge, founder of Sweden’s Pirate Party, this week explained why in a very succinct way in the Guardian. “Voting over the internet? Would you really want 4chan to decide your next government?” Good point. How important is Facebook to the world? $227 billion important, according to a new study. 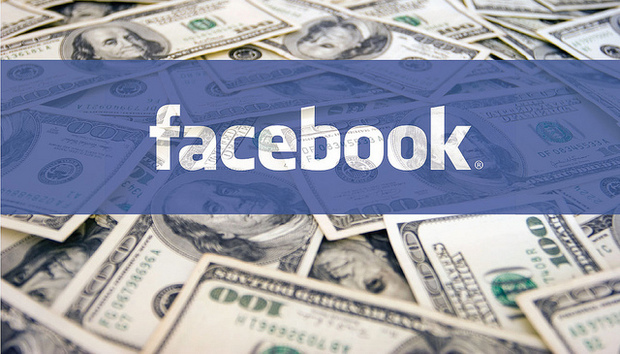 Deloitte published the Facebook-sponsored report this week, claiming that the social network added billions of dollars and over four million jobs to the global economy in 2014. Is it true? Probably not. The results were branded “meaningless” by one economist in the WSJ. Meanwhile, the expansion of Mark Zuckerberg’s Internet.org continues. After moving into LATAM last week, the internet-for-all service has just launched in Ghana. As usual, the service includes Facebook, Wikipedia, a jobs board and news, as well as an eCommerce service and Ebola info. It’s not just Microsoft-branded AR gegs that might get the tech lover in your life hot under the collar. You can now apparently buy a feature phone for Muslims in Russia. BQ-Mobile’s phone reportedly comes with a pre-installed Koran in Russian and Arabic and “prayer alarm.” Why this is any better than a smartphone with a regular alarm and any number of other Koran apps isn’t explained. Maverick Tech guru Kim Dotcom has finally launched his “Skype Killer” messaging service, MegaChat. Tech Crunch reports that despite a few bugs and hiccups, it’s about as good as the Microsoft-owned incumbent. Whether the masses at large care enough, however, is another issue. What do you do when Bitcoin, the infamous digital currency that was going to take over the world, the one you’ve got millions of dollars’ worth and publicly said was the dog’s danglers, has completely caved in value wise? You chin up and try to create a regulated BTC exchange you claim will be the “NASDAQ of Bitcoin.” Give it up, Winklevossers. There’s lots of studies saying the average person picks up and look at their phone literally hundreds of times a day. So it’s little surprise that a new survey found 62% of people hate their smartphone addiction. Don’t worry though, I hate your smartphone habits, and so does everyone around you. Another year, another list of the most terrible passwords. Seriously, who still uses “password” or “123456”? It’s so boring. Sort it out people.